south of Munich, and we are open to children of all nationalities and cultures. 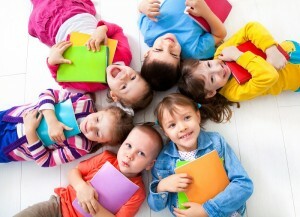 We run two mixed-age groups (3-6 years old) with a maximum of seventeen children per group. Each group is led by two full time, early childhood trained teachers. We also have an intern who assists in both classes. Opening hours Monday through Friday from 7:30 to 16:00. Additional holiday programs throughout the year. 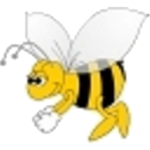 Busy Bees preschool is well-situated in the suburb of Gauting, 11 kilometers drive from Starnberg, and 20km from Munich. Within a 5 minute walk, we have access to the forest, the river Würm, parks and sports fields. Gauting S-Bahn station is 15 minutes walk from the school, and the U-Bahn at Fürstenried West is also accessible by a short bus or car journey. The preschool building consists of a cloakroom, bathroom with three children’s toilets and basins, kitchen, dining room, art room, change room with shower, two classrooms, each licensed for 18 children, and a multipurpose room. The two main rooms have under floor heating, double glazed windows and direct access to the outdoor area. All internal doors are fire safety approved. The main door is alarmed and operated by intercom. The preschool also has a large outdoor play area. Features include a large grassed area, a concreted area for bikes and bobby cars, a sandpit, a vegetable garden and a large playground comprising of a slide, log bridge, rope ladder, climbing wall and two towers. The team – and the Busy Bees – are looking forward to your visit !